Almost two centuries ago, a theory that is accepted by whole scientific community was proposed by chemist John Dalton. All matter and objects aremade up of particles called atoms. 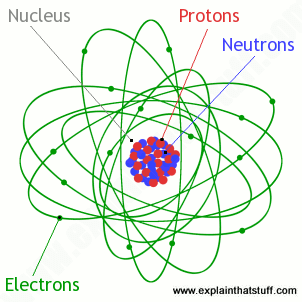 Atoms are made up of an incredibly miniscule nucleus and even tinier electrons that move around the nucleus at quite the distance from the center. To fully understand this concept, an example has to be made. Imagine a table that is a billion times larger than what you are accustomed to– stretch your imagination. Upon this table of enormous size, its atoms would equate to the size of the average melon and even then, the nucleus and electrons of the atom would be far too small to see. Fascinating. 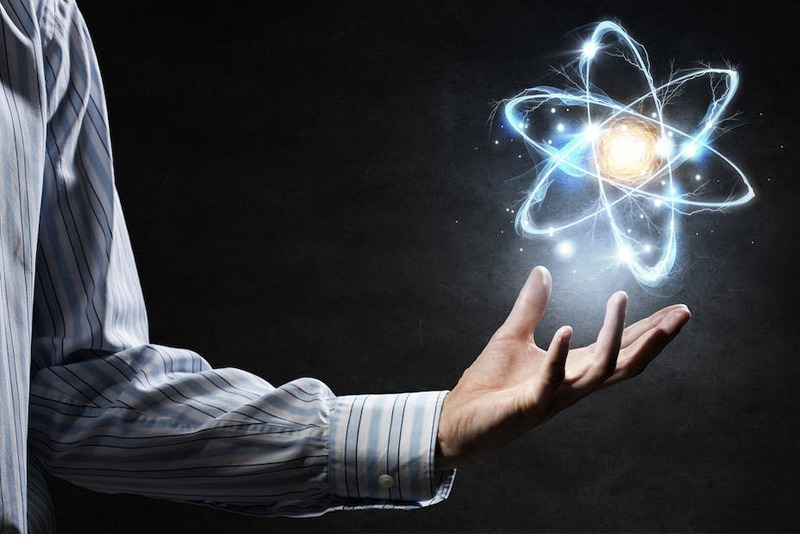 If there are such vast spaces within the atom, why don’t our fingers pass through the atom? Why doesn’t light pass through the empty space? The answer to this question is to be found within the electrons of the atom. In order to fully comprehend the concept, one has to forget what they think they know about atoms and their electrons. Everything about the atom that is taught in schools is stupidly simplified. For example, electrons don’t orbit the center like the planets of our pleasant solar system. Instead, they’re like a swarm of bees or birds– whatever animal you prefer– where individual motions of the herd deem too quick to track but the overall shape is still seen and observable. Basically, due to the lack of appropriate words, electrons dance. It’s not an awkward series of jumping and waving of limbs to pop music that is immediately imagined but instead a dance of calculation and with formal moves– similar to ballroom dancing. The patterns and steps are laid down by a mathematical equation named after Erwin Schrodinger. Interlude! Erwin Schrodinger was a brilliant man who won the Nobel Prize in 1933 after constructing a wave equation that went on to change to face of quantum mechanics. More about him can be read here. The patterns of electrons varies. Some move slowly and gently whereas others move quickly and with more energy. Each electron keeps its pattern but sometimes may change onto another level as long as no other electron is performing that already performing that very same pattern. This is based on the Exclusion Principle that states that no two electrons move with the same pattern. Electrons are busy and never get tired, but moving onto a faster pattern takes energy. Also, when an electron moves down to a slower pattern, energy within it is lost and given out. For example, if energy in the form of light where to fall upon the electron, it is capable of absorbing the energy and moving up to a higher and faster pattern. Due to all the electrons within the atom being eager to absorb a portion of energy from the light. That’s why light doesn’t pass through the empty space of atoms. 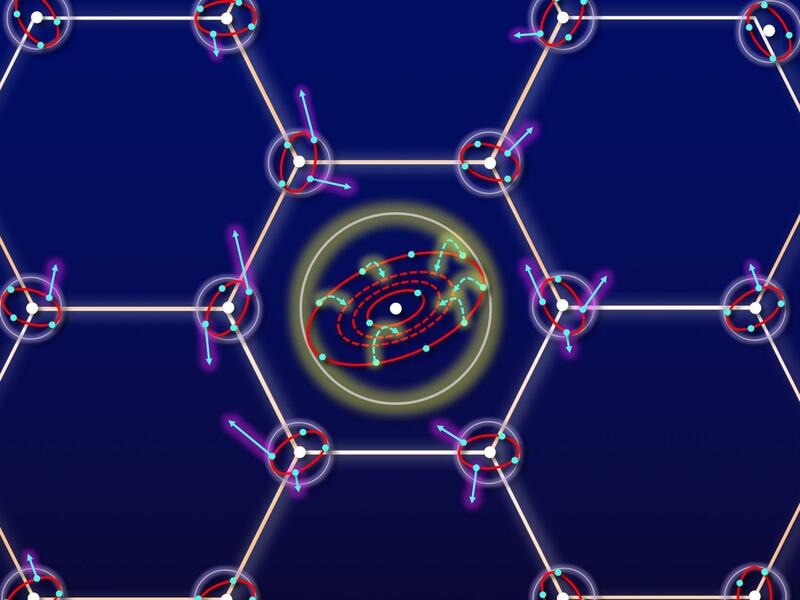 After some time, the electrons lose the gained energy, probably as light once more. Due to the changes in the patterns of absorbed and reflected light give our eyes reflections and colors, making the table look appear as a solid. However, another question remains: why does the table feel solid? The common assumption is repulsion: the attractive and repulsive forces between atoms. Wrong. The feel of solidness is caused by the dancing electrons. When your hand touched the table, the atoms within your hand became in close proximity to the electrons within the atoms of the table. As they come closer in togetherness, the patterns of dance change. This is because an electron in a low energy level around one nucleus can’t seem to do the same around the other– that “slot” is already occupied by one of its own electrons. The hand must step into an unoccupied, higher-energy role, as explained by the Exclusion Principle. The energy must be supplied, not by light in this case, but from the force of your own hand. Pushing just two atoms together takes energy– all of their electrons need to go into unoccupied, high-energy states. To push all the atoms of the table and all the atoms of your hand together takes energy. Energy that is not found capable in your muscles. Therefore, you feel that as resistance to your finger. Welcome to the science as to why and how the table looks and feels solid to you.